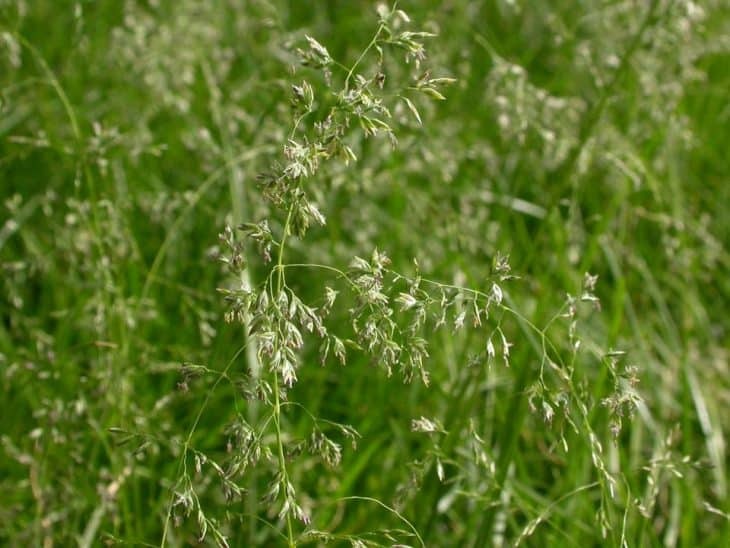 Kentucky Bluegrass, or Poa pratensis, is commonly known as common meadow grass, smooth meadow grass, and Kentucky bluegrass. While not native to North America, it is an incredibly popular option for lawns in the United States and is spread all across the country. Kentucky Bluegrass was brought to North America by the Spanish mixed with other grasses, and originates in Morocco, Algeria, Europe, and northern Asia. Kentucky Bluegrass is one of the most common types of lawn grass in the northern United States. There are two types of Kentucky Bluegrass to choose from when planting your lawn – compact and high-density types. Compact types are dense and grow low to the ground, making them a great option for short turf. 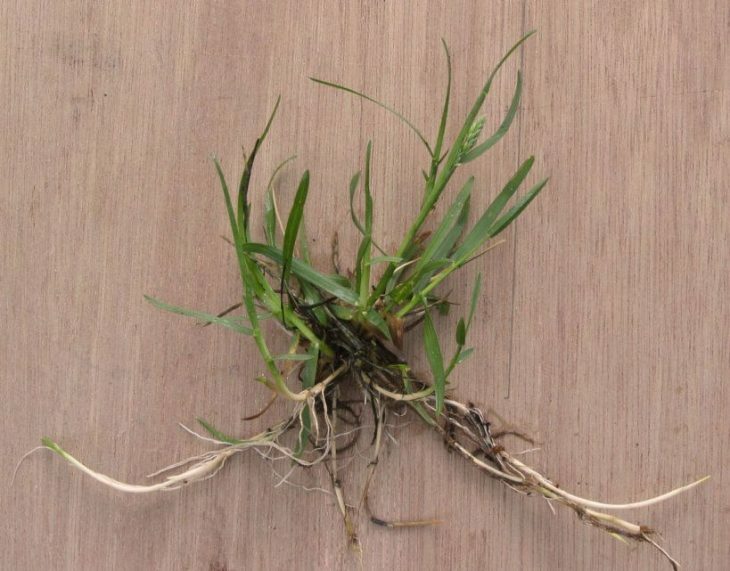 High-density grasses, on the other hand, can be invasive and feature strong root systems. The only common type of Kentucky Bluegrass is the “Julia” type. This type of Kentucky Bluegrass can stand up to hot summers without being damaged and is very wear tolerant. There are certain varieties of “Julia” that will better resist dollar spot and brown patch than other types. Another type is the “CELA” type. These green up very quickly in the spring and are a great choice for athletic fields, as they are compact and incredibly durable. 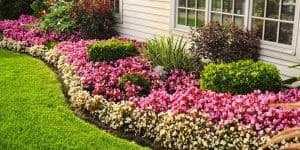 “Bellevue,” “Shamrock,” and “Cheri” types are great for home lawns. They all have differing features, but tend to stay green longer than normal, they have strong stems that are tough and durable, and they produce plenty of seed for self seeding. 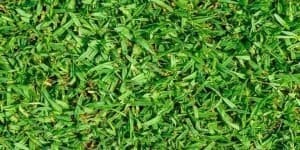 While there are other types of Kentucky Bluegrass, these are some of the most popular ones that you can buy for home use. Kentucky Bluegrass is a perennial lawn grass, which means that it will continue to come back each year. It will experience faster seasons of growth during fall and spring, and is commonly used in the northern areas of the United States. This type of grass has shallow roots, especially when compared to other types of grass. These shallow roots mean that the grass is less tolerant to higher temperatures and also to drought. 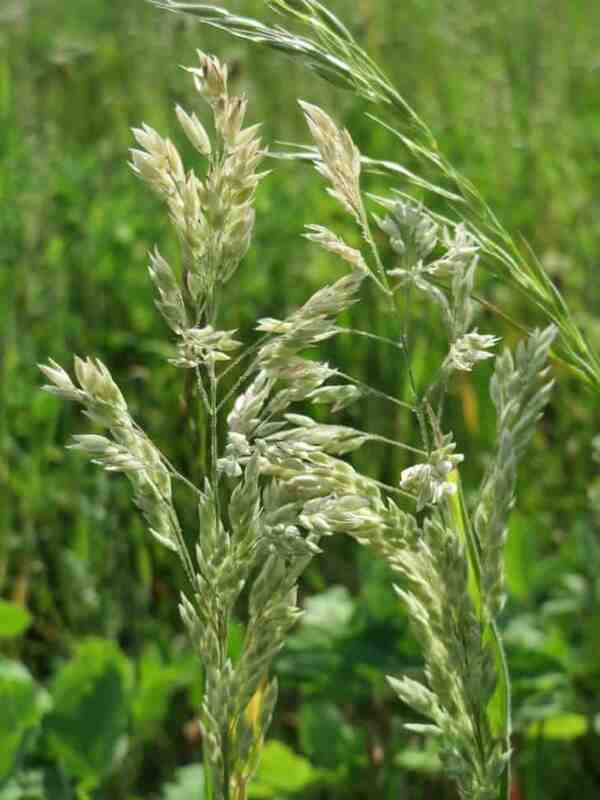 This cool-season grass is easy to establish from seed, but tends to have a slower germination rate. Once Kentucky Bluegrass is established, however, it will spread quickly across the yard via underground rhizomes. This means that it can quickly recover from damage. Another reason why homeowners love this grass is because of the attractive blue-green or emerald color. Due to how attractive this grass is, as well as the comfort that people feel when walking on it, it’s a great grass to use in lawns. It is also often used as turf for sports fields due to how thick it is, as well as how durable the grass is. Kentucky Bluegrass is a cool-season grass and grows best in the USDA zones of two through six. While there are some homeowners in the south who really love the appearance of this grass and fight to grow it in their yards, this tends to be very difficult. For this reason, you will normally only find Kentucky Bluegrass in the northern states. While Kentucky Bluegrass does not do well in hotter temperatures, it is an exceptional grass for colder temperatures and can easily withstand lower temperatures. This makes it a great option for people living in the northern United States and who deal with cooler falls and winters. Not only is Kentucky Bluegrass very cold tolerant and adapted for great winter survival, but it recovers quickly from damage. This means that any cold damage that it experiences over the winter won’t cause unsightly grass for a long time. Kentucky Bluegrass will bounce back fairly quickly, no matter if the damage is from the temperature or from heavy use. While Kentucky Bluegrass does a great job standing up to wear and tear, as well as lower temperatures, it can be easily damaged by drought. Unfortunately, when this type of grass doesn’t get enough water it will start to brown rather quickly, making a lawn unsightly during periods without rain. This means that homeowners have to be willing to water their lawns during dry periods to ensure that they look their best. Again, however, Kentucky Bluegrass bounces back rather quickly after being damaged. As long as there wasn’t irreparable damage due to drought, the lawn should start to look better quickly. Deep and thorough watering is important to encourage good root growth, and these lawns typically need one inch of water a week, whether from rain or watering. 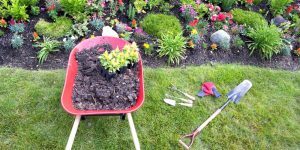 Lawns in the transition zone of the US or that are dealing with hotter weather may need two or more inches of water to survive and look their best. Kentucky Bluegrass has a moderate traffic tolerance. While this type of grass is not as hardy as Zoysia grass or Bermuda grass, it is still a little more durable than other types. This means that Kentucky Bluegrass can be used in lawns, and is a good grass to use in parks as an attractive border. Even though these locations see some use, when the grass is cared for correctly, it should be able to stand up to the low amounts of wear and tear. 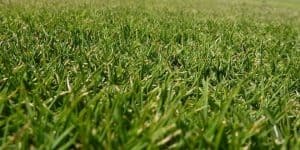 Just like any other type of grass that you can plant at your home, you have to make sure that you are providing your Kentucky Bluegrass with the right care and maintenance. 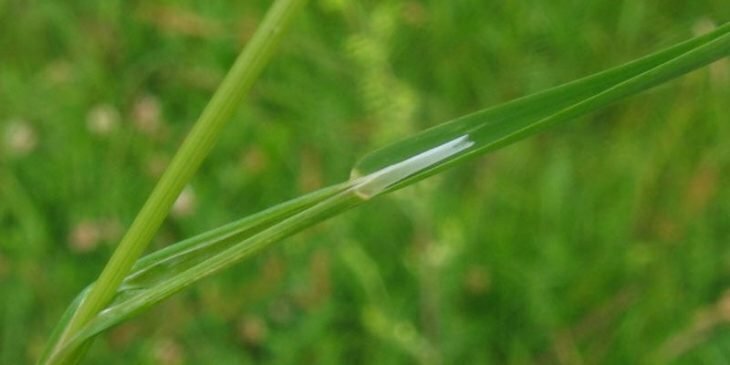 When you do, you will be able to enjoy the rich color of this grass without a lot of dead or brown spots. In addition to watering, fertilizing, and removing thatch, homeowners need to make sure that they aerate their lawn once a year. Using a core aerator will open up the soil and make it easier for nutrients and water to reach the roots, will encourage good root growth, and is a great time to fertilize the lawn for the best possible results. Proper management of your Kentucky Bluegrass will ensure that it looks great. 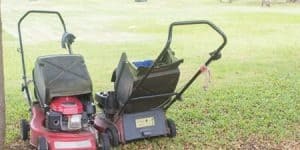 Young grass needs to be mowed once it is more than two inches tall, and grass should be cut so that it is only two inches. Additional mowing will remove 1/3 of all leaves, leaving the grass at two inches, and generally only needs to occur once a month. Kentucky Bluegrass has rhizomes, and this means that it will easily develop thatch. 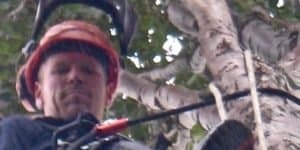 Every lawn is different, and homeowners need to keep an eye on the condition of their lawn, as it is normal for it to require dethatching every year or every other year. Once there is .5” of thatch, it’s a good idea to use either a power rake or power dethatcher. 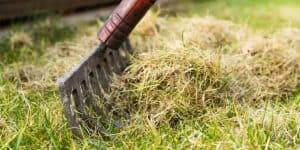 Make sure to dethatch the lawn in the fall or in the spring. The best fertilizer for Kentucky Bluegrass is going to be in high in nitrogen. No more than one pound of nitrogen for every 1,000 square feet of fertilizer should be applied. If your leaves yellow between the veins, known as iron chlorosis, then that is a sign that your soil is alkaline. You can solve this problem by applying ferrous sulfate or another iron source to the lawn. Kentucky Bluegrass lawns need fertilization three or four times each year. While some people also opt for summer applications, this can actually burn the grass by accident. In total, three to five pounds of nitrogen need to be applied in a year. The spring application needs to be lighter so that the roots have time to grow and the grass doesn’t put all of its energy into growing roots. 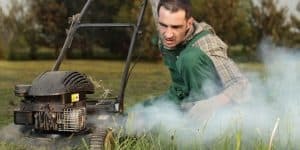 The main weeds that you will have problems with when you have Kentucky Bluegrass in your lawn are clover, crabgrass, dandelions, and annual bluegrass. 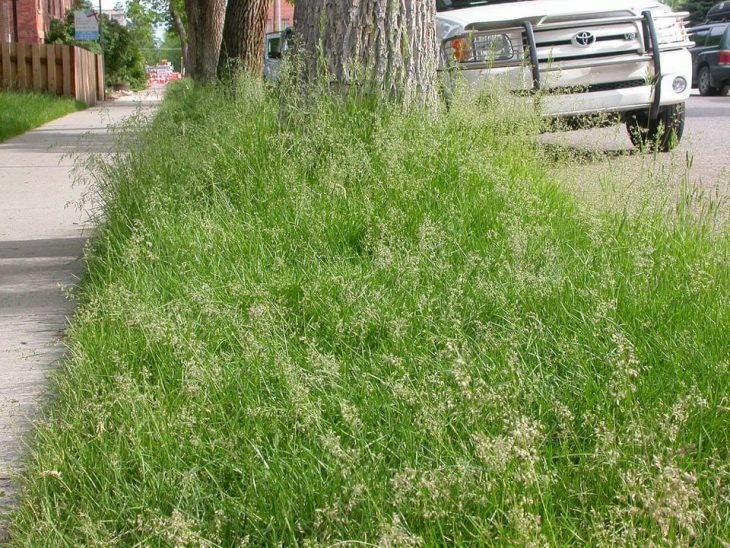 The best way to deal with the annual grasses growing in your yard is by using preemergent herbicides to combat them before they are able to start growing. To deal with weeds, homeowners need to use hormone-type herbicides. The other option, especially when weeds get larger, is to remove them by hand. 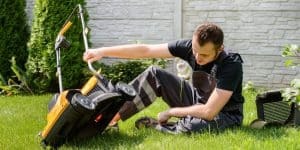 While this is more time consuming, it doesn’t require the use of chemicals on the lawn. 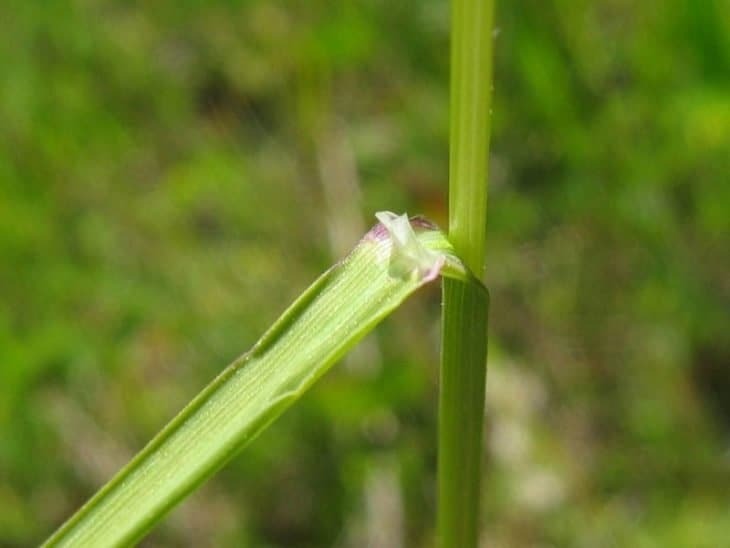 Like all other types of grasses, Kentucky Bluegrass is susceptible to insect or best damage. Pillbugs, white grubs, and sod webworms can easily destroy a lawn. It’s much more cost effective to treat the insects than it is to replace parts of the yard. Treat them with insecticides once the problems are seen. 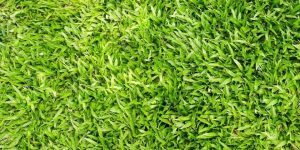 Comparing Kentucky Bluegrass to other common types of grass is the best way for you to find the right one for your lawn. 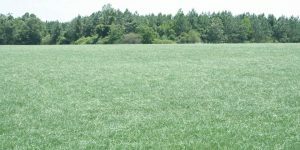 Perennial Ryegrass makes a great turf grass and grows very well in locations with cool winters and moderate summers, but doesn’t last all summer long in warmer months. While it can be used on its own for a lawn, such as Kentucky Bluegrass, it is often used to overseed southern lawns for a fast, temporary green color in the winter. Perennial Ryegrass is the fastest germinating grass, making it great when you need a green lawn in a hurry, but then grows very slowly. It grows in bunches, while Kentucky Bluegrass spreads via underground rhizomes, and has traditionally shallow roots. Bermuda grass is a cool-weather grass, while Kentucky Bluegrass is a cool weather grass. Even though they are used in different parts of the United States, they often overlap in the transition zone. While Kentucky Bluegrass and Bermuda grass can both withstand drought, Bermuda grass is much hardier. One reason why Bermuda grass is so popular is because it is incredibly hardy and has a wiry texture that allows it to bounce back from damage quickly and easily. 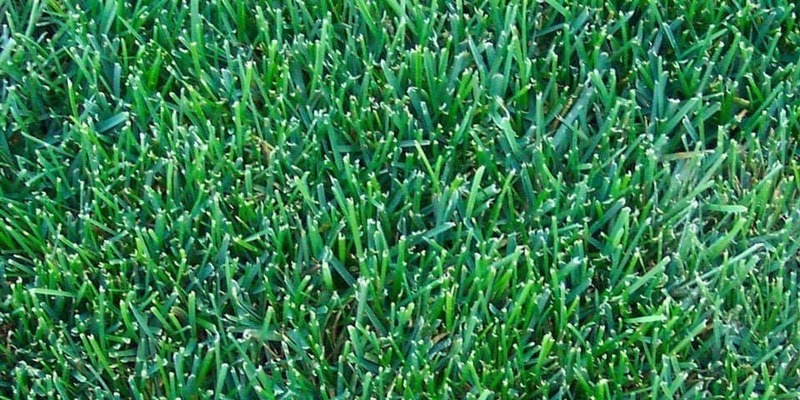 Kentucky Bluegrass, on the other hand, is not quite as durable and is more prone to damage. 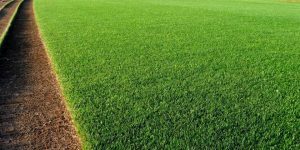 While both types of grasses are durable and can withstand traffic, Fescue grasses are considerably more durable and are a much better option for use in parks, sports fields, lawns, and play areas. Kentucky Bluegrass is attractive, but not as able to stand up to wear and tear without showing signs of damage. Both types of grass need regular watering, especially during the hotter summer months or the grasses will brown and look unsightly. Fescue tends to not only be more drought tolerant than Kentucky Bluegrass, but can also withstand shady parts of the yard better without struggling to grow. 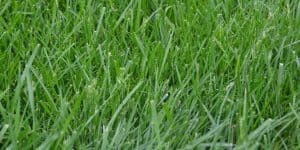 When allowed to grow without being mowed, Kentucky Bluegrass will reach a height of two feet, while Fescue can easily reach a height of three to four feet, although it is normally mowed, just like Kentucky Bluegrass.